This model is an excellent BiPAP Machine from the Respironics line. This BiPAP Machine has everything that it needs to have with advanced event detection, effective sleep management therapy, pressure support control, bi-flex technology and better air flow. With all of these great features nothing could be better than this model and the effective sleep therapy that it offers sleep apnea, obstructive sleep disorders and respiratory illness patients. I also recommend that you check out my article on the best BiPAP machines, best CPAP machines as well as the the difference between the two case you do not yet know. The size of this model is excellent at a size of 7″ x 5.5″ x 4″. This is a great fitting so that you can use it conveniently right by your bed. This machine is very lightweight as well at a weight of 2.8 pounds. This BiPAP is easy to use and due to the easiness of this machine the patients receive effective sleep therapy. With the high technology of the specifications of this machine the ease of use is high as well. The features of this BiPAP Machine allow the patient to have fewer responsibilities when completing their sleep therapy treatments. There are many specifications that come along with this BiPAP Machine that are excellent for the patients who use this machine. The features of this model?are beyond normal limits for other BiPAP Auto Machines. They provide the patients that use the machine with effective and comfortable sleep therapy treatments. 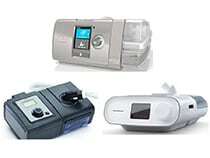 The Respironics System One BiPAP Auto Machine has provided many sleep therapy patients with effective treatments. These treatments have been successful due to the advanced technology and features offered by this model. With the advanced event detection, dry box technology, reporting and response feature, system of one resistance control and much more this BiPAP Machine out-runs many other similar sleep therapy treatment machines. Not only are the features of this machine amazing but this machine fits well wherever you need to have your treatments as well. Also I think this is a decent BiPAP machine, it is not my favorite one that is on the market right now. 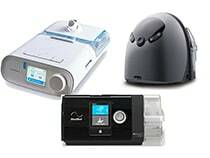 I personally think that the Dreamstation and the Respironics BiPAP auto are my top two choices. 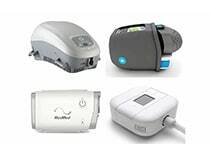 ?Check out how this BiPAP stacks up against the best BiPAP machines on the market today. No matter which BiPAP machine you end up going with, you should get a good machine cleaner such as the SoClean 2. These machines get very disgusting very quickly with regular use and the SoClean 2 has saved me multiple headaches from having to manually clean it. 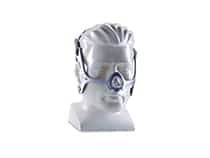 If you are looking for the perfect CPAP mask for you I suggest you check out my article on the top six. 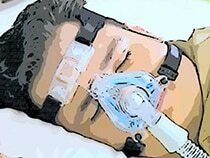 Also if comfort is your highest priority in a mask check out my article on the most comfortable masks. 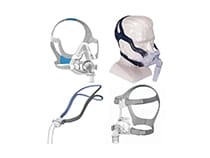 If you happen to sleep on your side for the majority of the night, check out my best CPAP masks for side sleepers article. I hope you guys enjoyed this review. Get a good nights rest!